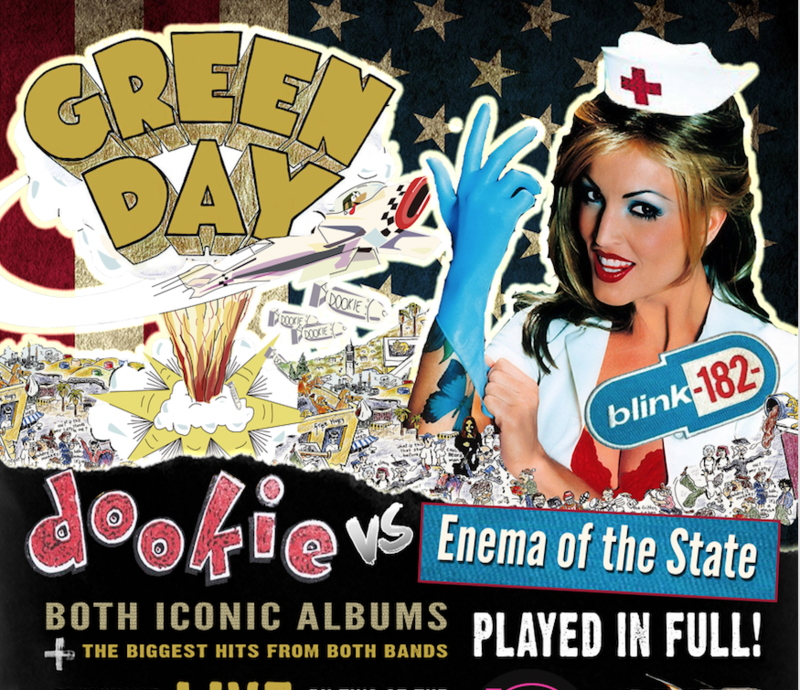 Back in the 90s, the two pop-punk titans – Green Day and Blink 182 – brought punk into the mainstream with their eponymous ‘Dookie’ and ‘Enema of the State’ albums. To celebrate the 25th and 20th anniversaries, two of the UK’s top tribute bands are uniting for a tour of EPIC proportions – playing both albums in FULL + a greatest hits set from both bands. ‘Basket Case’ will meet ‘What’s My Age Again’ and ‘When I Come Around’ will meet ‘All The Small Things’. This will be one explosive, energetic tour of punk rock you’re not going to want to miss. Full 90 minute sets from both acts. GREEN HAZE are the UK’s No.1 tribute to one of the best rock bands the world has ever seen. Touring the length and breadth of the UK and rapidly becoming the UK’s most in-demand Green Day tribute band of choice, playing to sell-out crowds at some of the biggest and most established venues; festivals, including The Manchester Academy, BugJam Festival at The Santa Pod Raceway, The O2 Academies, Scala in London’s Kings Cross; The Brooklyn Bowl at The O2 Arena to name but a few and going to every length to capture the raw power and dynamics of Green Day’s music and bring it to life with an unrivalled stageshow. All of Green Day’s albums are well represented eg Basket Case, When I Come Around, American Idiot, Holiday, Wake Me Up When September Ends to name but a few. Plus an extensive repertoire of fan favourites to satisfy even the most ardent of Green Day fans and performing with the same energy and passion that only true fans of the original band can, this is what makes Green Haze literally THE next best thing to Green Day themselves. The most in-demand alternative to Blink 182 in the UK, having played to huge crowds; rave reviews at the UK’s biggest festivals and venues – such as Festwich, BoltFest, WV1 Festival, Rockprest and Voodoo Rocks Festival to name just a few of them.